Over the past decade, Zainab’s leadership has expanded AIC into an international organization with six bureaus worldwide. 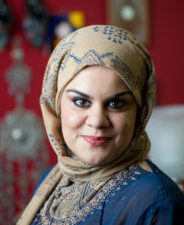 Hana Abdalla is the Program Manager for Project Nur. She has more than eighteen years of professional experience in research and education, including work with NGOs and academic institutions. She is a Research Associate and Faculty Member of the University of Maryland. 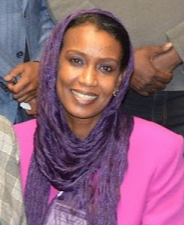 Hana is also a member of the Sudanese American Women’s Organization, which works to empower women, build their capacities, and expand their ability to lead, serve, and advance the Sudanese community in the United States. 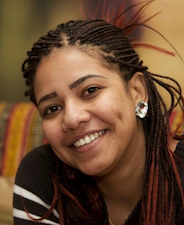 Rowa Kodi is a Program Coordinator for Project Nur. Rowa is an international gender empowerment specialist with proven expertise delivering education, clinical services, policy advocacy, and community-based innovation using participatory approaches. Rowa has a B.Sc. in Nursing Science; an M.A. in International Sustainable Development, Policy and Management; and five years of experience in program management. 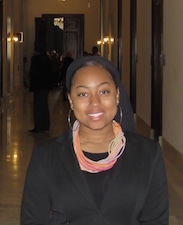 Fajr Malika DeLane is the Project Nur Marketing and Communications/Outreach Intern at American Islamic Congress. Fajr is a Bill and Melinda Gates Millennium Scholar and currently attends Howard University pursuing an International Business major. She is the founder and director of “F to the Third Power: Fun.Fit.Fabulous!” - a health and wellness program initiative for young girls. Fajr intends to utilize her increased knowledge in business development to further her skills in building creative programming and social and community advocacy platforms.